I’m thinking of building a separate compartment in my wallet to hold some dosh aside for Grant Morrison’s Multiversity. The long teased tiki-tour through the various worlds of DC’s multiverse isn’t just bordering on essential reading, it promises to team the offbeat writer with the Marvel Family, which I have been gagging to read since he wrapped his hands around Freddy Freeman’s alter-ego in the pages of JLA. The book of 20-10 that took my mind off the wait? 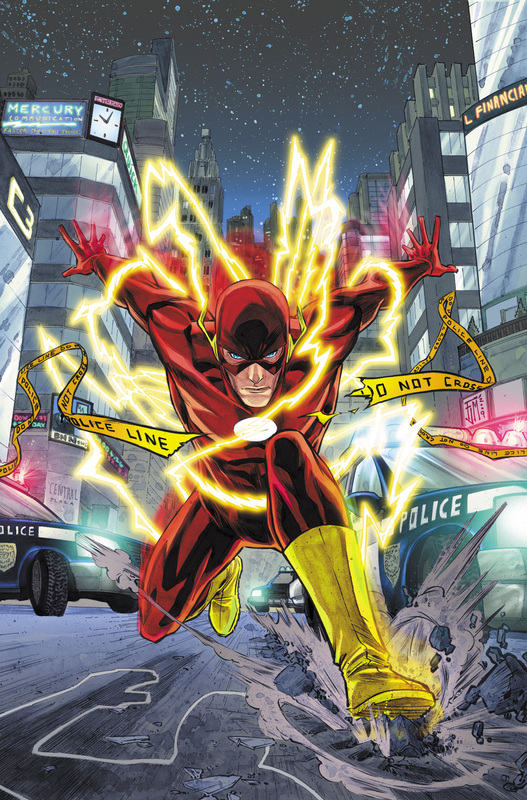 DC’s The Flash is a sleek, silver age tale of comics done good. Sure it’s run so far has been a little eractic as far as schedule, but it’s more than made up for it with a marathon full of new characters, plot twists and being the best example of a return to heoisim, that both DC’s Brightest Day and Marvel’s Heroic Age heralded. Writer Geoff Johns, is adding so many new character wings to the structure of DC, he may as well add architect to his job description. Despite the speed at which he constructs, he pulls off some of the best character moments around. The first Flash story-arc for example, springs out of Barry’s guilt of all the cases he wasn’t around to solve during his ‘death’ and his investigations into solving all those cold cases. Highlighting in and out of the suit, Barry is more than a nice guy - he’s pure hero. 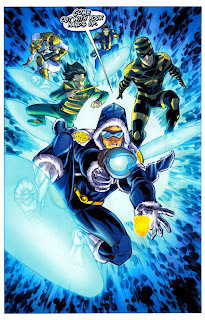 Then of course there is Francis Manapul’s art. 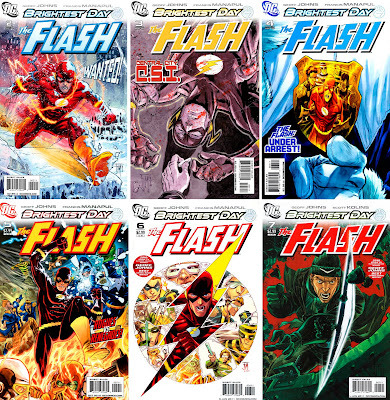 From Flash running down the blade of an in-flight helicopter to the designs of the Renegades, Francis unmistakingly brands the Flash as bright, clean and individual, regardless of the amount of new comics you’ve hauled home from your friendly neighbourhood comic store. Together Geoff and Francis have crafted a bright, fun comic – in The Flash, the kind we need more of – and have certainly cemented their place as one of the greatest Flash runs, even before next years Flashpoint strikes. That Flash splash page is amazing love it! With this Bill Mantlo art auction going on I'm sprung on cool comic book & fantasy even more so then usual. Thanks David! That Francis is a talented dude alright! If this was the late 90's he'd have 110 imitators by now! I'm going to have to disagree with you on this one Dan. I felt like the first arc of this book jumped around too much, took too many issues to tell, and had an ending that fell kind of flat. I understand a lot of the premise of the first 6 issues was to get the series on track, establish Barry in his job, and provide him with the whole question of changing the time stream, but I am disappointed everytime I get done with an issue. My favorite issue so far has been #7, which says a lot considering the Flash isn't even in it. I guess when I heard Barry was coming back, I expected something different. I'm not really sure what, but something of a grander scale. No worries Kello, thanks for putting your opinion forward! Having others say what they think makes for fun conversation and saves this blog from sounding like its written by a guy who loves the sound of his own voice lol! I had high hopes for this series too - I wanted to be a forensic scientist for years thanks to Barry - but for me it delivered, almost because it wasn't on a grand scale.